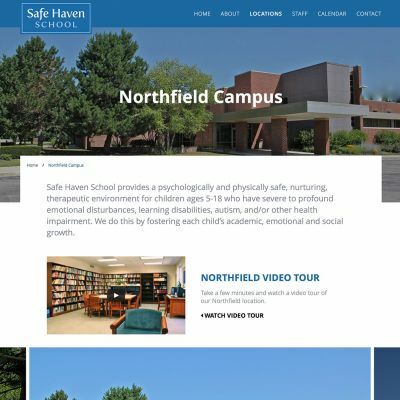 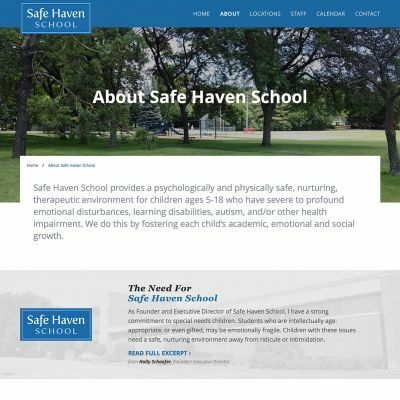 The Safe Haven School project sought to modernize the school’s web presence & turn some of their old site’s “walls of text” on pages to more easily digestible content. 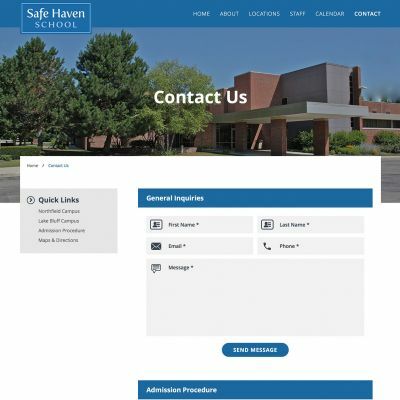 The old Safe Haven School site wasn’t built on top of a CMS so it made updates burdensome. 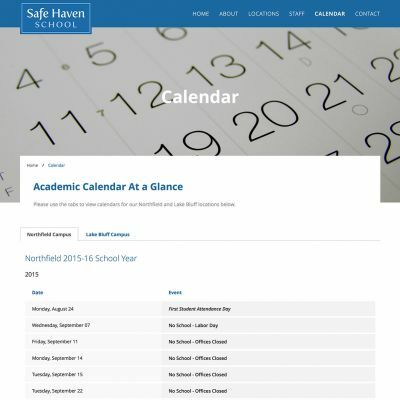 With WordPress, future updates will be a breeze so keeping the school calendar, staff pages and other pertinent information up to date will be simple.